Healthy skin can be achieved with good skin care along with healthy lifestyle choices. These actions also helps to delay aging and prevent different skin issues. Here are 5 tips for healthy skin. An essential part of healthy skin is to take care of your skin and protect it from the sun. Continuous sun exposure can cause wrinkles, age spots, and increase the risk of skin cancer. For complete sun protection, stay out of the sun, but if you are going to be exposed, use a sunscreen with an SPF of at least 15. Sunscreen isn’t a set it and forget it thing, you need to reapply every few hours, or if you’re swimming apply more often. Limit your bath and shower time, and use warm water, as hot water and long showers or baths remove oils from your skin and leave skin feeling dry and itchy. Choose mild cleansers that don’t strip oil from your skin. After washing your face or bathing, gently pat your skin dry with a towel so that some moisture remains on your skin. 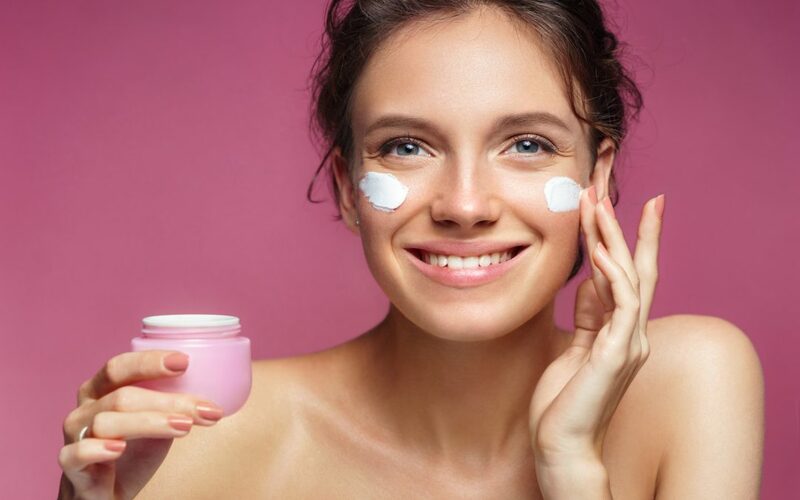 Use a daily moisturizer and face cream that is suitable to your skin type. What you eat can directly affect the health and appearance of your skin. A healthy diet helps you look and feel your best. Depending on your unique body type, you may have food aversions, but generally speaking, eating fruits, vegetables, whole grains and lean proteins are a safe bet. Drinking plenty of water helps keep your skin hydrated. At La Renaissance, we have many skincare products available and can recommend one suitable for your skin. We love our Biological Peeling Radiance Gel, which is suitable for sensitive and dehydrated skin, and smooths features and reduces the appearance of wrinkles and fine lines. 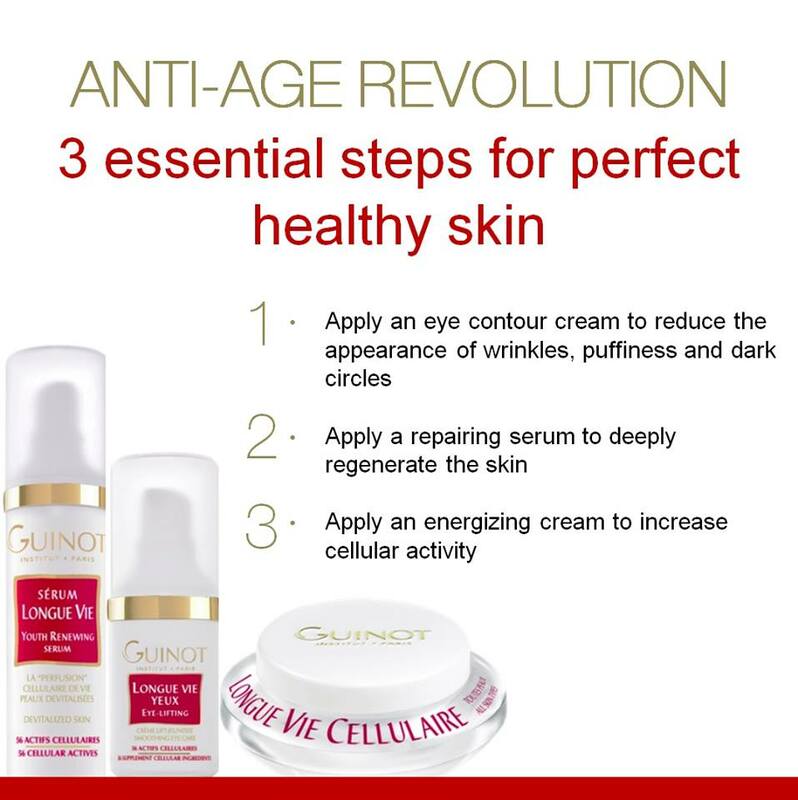 We also recommend **Longue Vie Collection**Youth Renewing which start working on anti-aging. You might also want to read 6 Amazing Benefits of Facials for Your Skin. Not only is smoking extremely bad for your health, but smoking contributes to wrinkles which makes your skin look older. Smoking also damages collagen and elastin which are the fibres that give your skin strength and elasticity. The repetitive facial movements you make when you smoke also contributes to wrinkles. Stress can cause negative affects on your body, health, and skin. Stress can trigger breakouts and other skin problems, and make your skin more sensitive. Take action to manage your stress and encourage a healthy life and body. Get proper rest, exercise, and make time to do things you enjoy, with people you enjoy! How do you take care of your skin? Share with us in the comments below! If you need help improving the health of your skin, contact La Renaissance today for skincare tips and products!